“Shane is a bit of an “old soul” and is drawn to the melodies of past generations”. After all, how many young boys have Benny Goodman and Al Jolson on their i-Pod? Shane sings all genres, loves Broadway tunes the best, and can belt out the National Anthem like nobody’s business. 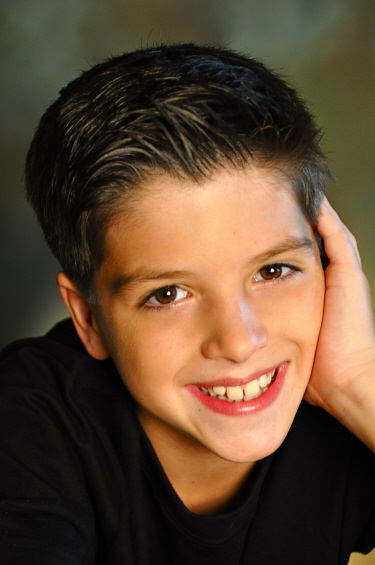 At the age of 7, he made his stage debut singing Celine Dion’s “My Heart Will Go On” for his elementary school’s talent show. His promising voice pulled the audience to him and their thunderous applause confirmed for Shane that the stage is his place and connecting to the audience through song is his calling. Seeing a gift, veteran Broadway star of “42nd Street” fame, Karen Prunzik, invited Shane to study as a Triple Threat at her Broadway Dance Studio. He is now in his third year learning the disciplines of Ballet, Tap, Jazz, Musical Theatre, and Acting under the direction of Ms. Prunzik and another Broadway legend, Lenora Nemetz. He gladly spends five days a week at the studio and thoroughly enjoys being the only boy in his class, as the young girls are quite pretty! Of the disciplines, tap has become his fast favorite and he loves doing that on stage as much as he loves singing! Gene Kelly hailed from Pittsburgh, and Shane hopes to follow in his dance steps. The studio also introduced him to Etta Cox, a highly regarded vocalist and entertainer in Pittsburgh. He has had the good fortune of developing his golden voice with her for the past year.